Bored of new year’s resolutions to lose weight, get fit, drink less and spend more time with the family? Why not try something new this year and resolve yourself to a year of new travel experiences. To help you get inspired, we’ve scoured through major events calendars from around the world, hunted down hot new attractions and reviewed top travel destination lists to find out where all the action is going to be in 2016. Here’s our rundown of the top 10 must-see places to put on your travel bucket list for 2016. Warning: This article may to lead to a severe case of wanderlust, which means itchy feet and an irresistible urge to pack your bags and head straight to the airport! You really don’t need us to tell you why you should visit a French vineyard region now, do you? But if you’ve been waiting for that extra push, Burgundy (or Bourgogne), which is already known to produce some of the world’s finest pinot noir and chardonnay, also got an entry into UNESCO’s World Heritage List in 2015 for its unique climate and cultural landscape. One of the best ways to explore the poetic beauty of the area is to rent a bike (depending on the amount of wine consumed!) and ride along the vineyards, countryside and medieval villages. Two of the best times to visit the region are July, which is time for the Beaune International Festival of Baroque Opera and then between October and November for the harvest festivals and fall foliage. Still regret that you didn’t join your mates in Rio de Janeiro for the Football World Cup in 2014? Lucky for you, Brazil is hosting another of the world’s biggest sporting events: the Olympic Games (August 5 - August 21). The stage is being set for yet another grand Brazilian affair - Rio’s beaches are ready to party with athletes from around the globe - question is, are you in? If you’re looking for a more offbeat destination, this quaint little European town just bagged the coveted number one position in Lonely Planet’s list of the top 10 cities for 2016. Tucked between mountains on one side and a gorgeous bay on the other, the Old City of Kotor is a well preserved town typical of the Middle Ages, built between the 12th and 14th century. Time will stand still as you sip on some strong coffee and find your way around narrow alleys, ancient churches and beautiful piazzas. A land of traders and famous sailors, the city has many stories to tell, making it perfect for the romantics and the history buffs. Known for its thriving food and cultural scene and the famous Mayan archaeological sites, Tulum is a unique historical place on Mexico’s Caribbean Coast perfect for taking a well earned break from the 9 to 5. It was just named the top destination on the rise for 2016 by Tripadvisor so it’s time to update that passport and brush up on your Spanish - Vamos! You probably already know San Sebastian as one of the cities with the highest number of Michelin stars per square metre in the world and an unmatched pintxo (Basque-style tapas) culture. You may have also heard of its stunning golden sand beaches, a four-mile oceanfront promenade and coastal beauty that’s likely to sweep you right off your feet. But did you know that San Sebastian has been named Europe's City of Culture for 2016? Yep, that means there will be a culinary and cultural overload with tons of colourful festivals lighting up the streets. Take a look at all the cultural events planned through the year here, and pick out what suits your calendar best! Greenland is a dream come true for nature lovers with its enormous Greenland ice sheet, rocky shores, azure rivers and enormous fjords! But why you should visit this country in 2016 is because circumpolar athletes will gather in the capital, Nuuk, for the 2016 Arctic Winter Games, the largest international event ever hosted in the country. Apart from skiing and ice hockey, participants will also compete in ancient games such as the finger pull and kneel jump. The Arctic Winter Games will be held between 6 - 11 March, 2016 or other highlights to plan a trip around include the midnight sun between June and August and the aurora borealis (or the northern lights) between September and April. The Okavango Delta in Botswana is one of the last places where you’ll get to see the Big Five of the traditional African safari: elephant, lion, buffalo, leopard and the rhino in the wild. After becoming a UNESCO World Heritage site in 2014, the Okavango Delta, is rapidly gaining popularity amongst travellers who are keen to go right into the heart of wilderness. Go between June and August to explore the delta in a guided mokoro (dugout canoe) for an intimate experience. The Asian giant is popular for its architectural icons - the world’s second tallest tower, art deco buildings, cathedrals and Buddhist temples. It’s also a shopper’s paradise with a whole host of luxury boutiques, bustling local markets and quirky vintage shops. But this year, there’s something special happening in Shanghai for the kids. Oh, who are we kidding? The latest Disney Resort will be opening its gates in Shanghai sometime between March and June. It’s going to have the traditional Magic Kingdom park complete with the largest-yet Enchanted Storybook Castle. Rides and attractions are spread across six themed lands, including the pirate-themed Treasure Cove. Outside the Magic Kingdom, will be the Disneytown entertainment district, which will have restaurants, shopping and nightlife. You can book rooms in the Shanghai Disneyland Hotel or the Toy Story Hotel. All roads lead to Rome, and who minds? The sigh-worthy piazzas, ancient churches filled with masterpieces from the likes of Michelangelo and Bernini and mouthwatering Italian cuisine, all make the Eternal City an ever-popular destination for Aussie travellers. If you’re looking for another excuse to visit Rome in 2016, here it is - after many years of hard work and about €25 million, the 2000-year-old Colosseum is ready to show off its large-scale restoration job. That’s not all ladies and gents, the famous Trevi Fountain also went through a major clean up in 2015, including the installation of more than 100 LED lights to improve the fountain’s nighttime illumination. So, plan your visit at night and don’t forget that coins should be thrown using the right hand over the left shoulder. Bonus inspiration for movie buffs, Rome has been the backdrop for recent blockbusters - the remake of Ben Hur and the latest Bond saga, Spectre. Can you work your way around the city spotting scenes from the movies? Overseas destinations are great to experience new cultures but with the Aussie dollar on the downward trend, 2016 is a top year to visit Western Australia. 2016 marks 12 years of Taste Great Southern - a festival of top-notch gastronomic delight that takes place over a 6-week period from 18 March - 04 April in and around the Great Southern region. Some other WA must-stop destinations include: a visit to the Nambung National Park to view the Pinnacles, a swim with wild dolphins at the seaside town of Rockingham just 30 minutes drive from Perth, a beach chill out with the kangaroos at Lucky Bay near Esperance or a visit to the aboriginal owned wilderness camp Kooljaman at Cape Leveque. Ready to jump on the plane? 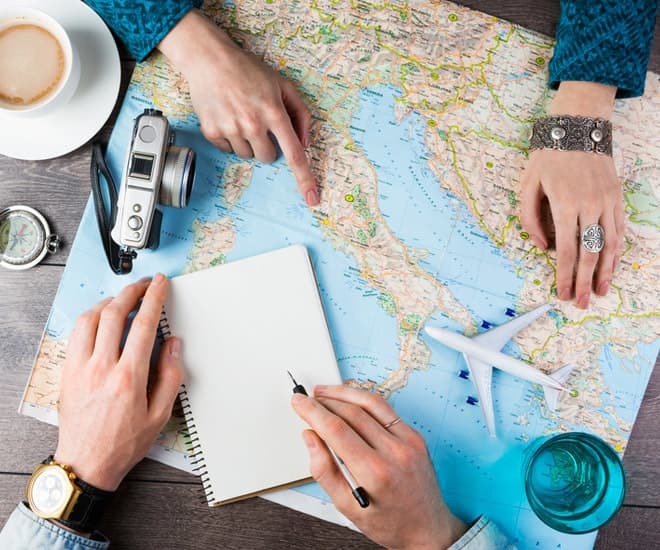 Don’t forget to read our thrifty travel tips, which can save you money that you’d rather spend on another hour of that oh-so-relaxing relaxing massage or glass of Sangria! Check your travel cards. It would be blasphemous to go all the way to Burgundy and not buy some (ok, lots) of vin de Bourgogne for your friends back home. But to make sure all your money is going towards the wine or other shopping you do on your holiday and not bank fees, don’t forget to compare and pick a good international travel credit card. Be tip savvy. Check if it is common practice to tip where you’re going so you’re prepared with enough local currency when you’re out and about. You don’t want to make an unplanned withdrawal from the ATM and end up paying expensive ATM and exchange fee! Buy travel insurance. While it’s important to always, always purchase overseas travel insurance for any destination, you must pay extra attention in case you’re planning on trying an adventure activity, like skiing in Greenland or river rafting in Mexico. You may need to buy an extra snow or sports package to cover all your activities. Activate credit card travel insurance. You may already know that your credit card could offer free travel insurance. 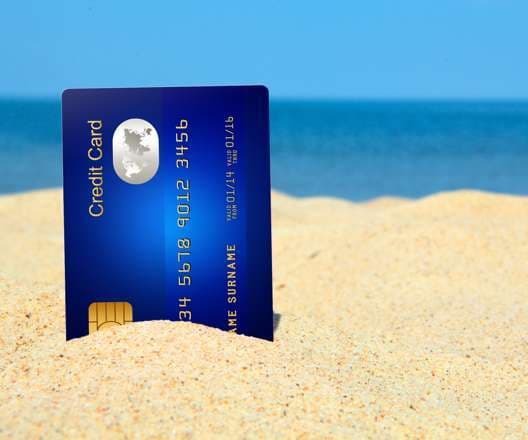 What you probably don’t know is that you may need to activate that insurance - here, read our blog on how to activate free travel insurance on your credit card. Lock that foreign exchange. Currency fluctuations are common and unpredictable. That’s why it’s a smart move to lock in some of your foreign exchange as soon as you’ve booked your holiday. You could get a prepaid travel card that doesn’t charge you every time for reloads!